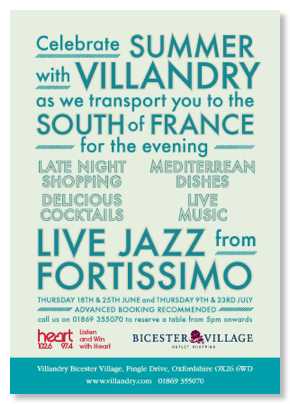 Here’s a summer promotion that we’ve put together for Villandry in Bicester Village. 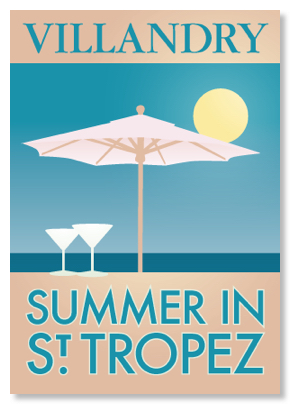 The brief was to create something evocative of St Tropez / South of France so we went for the look of a vintage travel poster. Here is the design for the front and back of the promotional flyer. We arranged for them to be printed onto a stock that is coated on one side only. This gives them an authentic postcard feel. We also produced posters and an html e-mail version.